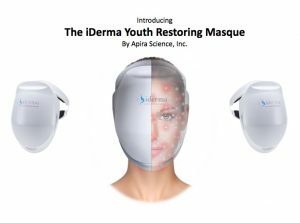 What is iDerma Youth Restoring Masque®? 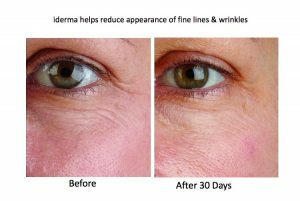 Apira Science presents iDerma®, a hands-free light therapy device that dramatically restores youthful feeling and appearing skin in as little as 4 weeks of use. 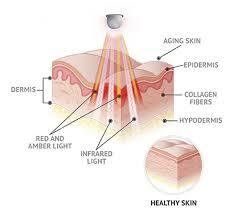 iDerma uses low-level light therapy (red and pulsating infrared LED light) to stimulate the skin’s natural growth and healing properties. This results in the reversal of several common signs of aging including wrinkles, age spots, dryness, and dull appearing skin. Using iDerma for 8 minutes per day, 3 times a week will leave the skin looking more radiant and fresh. 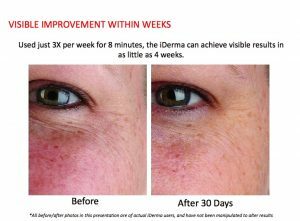 In a test, 95% of all subjects reported a notable improvement to their skin while 93% said their skin looks healthier after using iDerma. 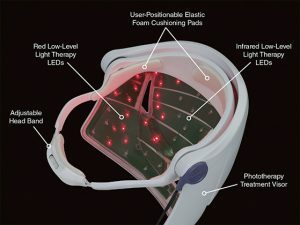 Optimized for efficiency – combines 128 red and infrared LEDs to maximize power and efficiency for each treatment. Full Coverage – designed for both narrow and wide-angle lenses placed precisely around a mask. iDerma provides uniform coverage to give consistent treatment all over the face with each use. Hands-Free – easy and convenient to use, unlike cumbersome hand-held devices. iDerma’s hands-free and automatic timer feature allows the device to do all the work, taking the guesswork out of each treatment while providing a relaxing treatment for users. Adjustable – headbands adjusts to accommodate a wide range of head shapes and sizes. *Results shown above are illustrative and reflect anticipated improvements from proper use. Actual results will vary and will be based on environmental, behavioral and genetic factors.